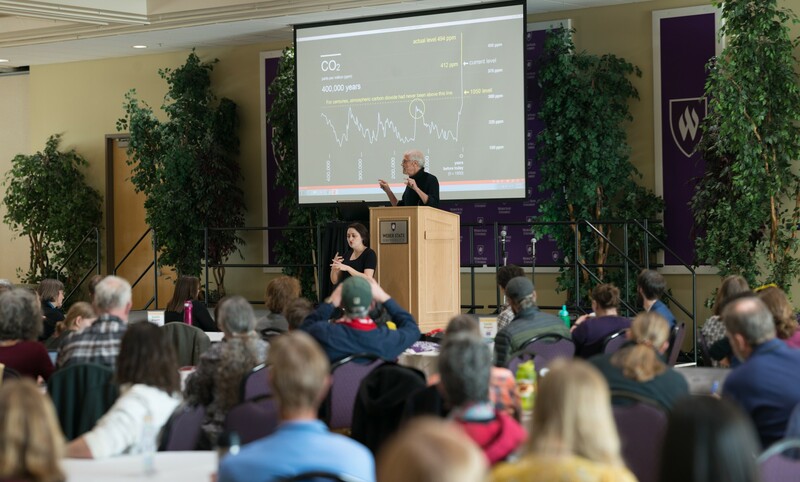 With the entirety of the Student Union third floor filled with conversation of change, adaptation and growth, students of Weber State University presented on renewable energy, water efficiency and other topics at the 10th annual Sustainability Summit on March 21 and 22. 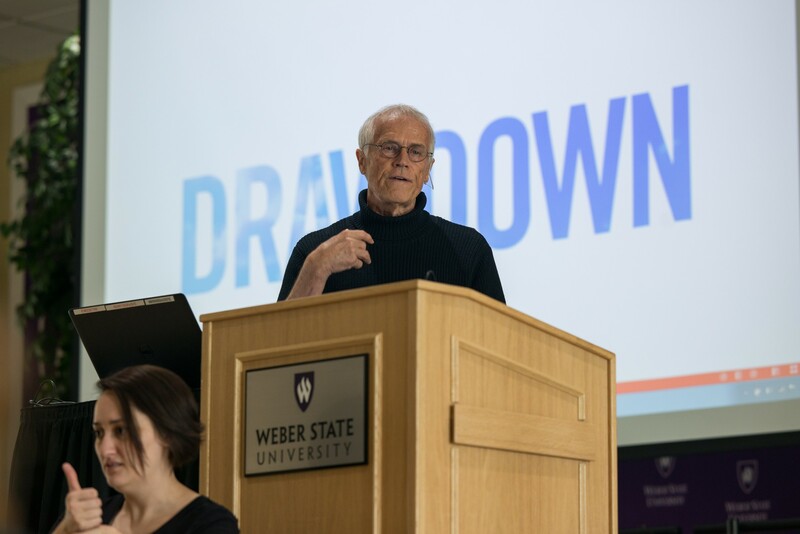 Organizations such as Protect Wild Utah, Momentum Recycling, VOW, UTA, Memorial Lake View Green Burial Cemetery, and many more also promoted simple changes and activism for a greener earth. Outdoor Recreation Administration student Cambria Hunter believes that sustainability preserves pristine places where people can enjoy nature. As part of helping students to have resources to grow their own plants, the Davis Campus Botany Departs was having a plant sale. Katie Smith, who is studying nutrition, loved the opportunity to combine nutrition and sustainability, hoping to get to a place in her career where she could teach how to be both nutritious and sustainable. 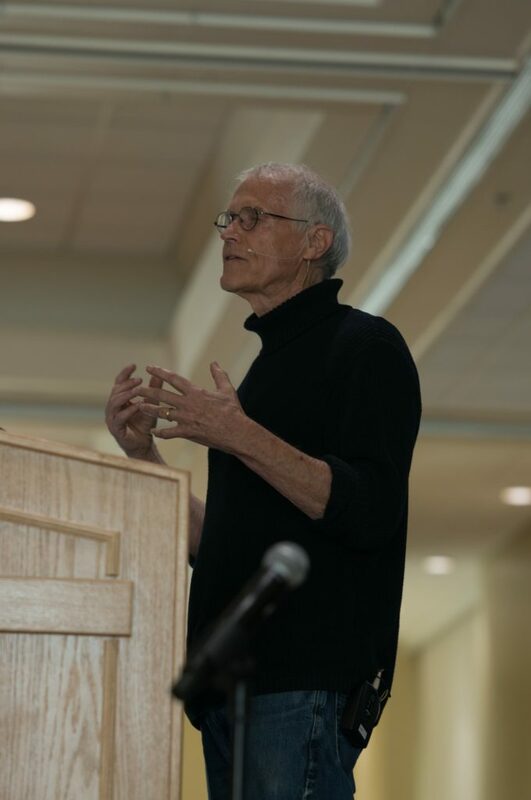 “Having the ability to grow your own food, and use it in your cooking. I’ve never grown anything in my life before this opportunity, so it has helped me to develop my own skills that I can carry into my own life,” Smith said. Another way to be sustainable is to recycle glass. Momentum Recycling was there to teach the residents of Salt Lake and Ogden how easy it is to recycle the glass products they use. They recommended to set aside the glass products in a box next to the trash can and then take it to a public drop off location when the box is full. A full list of the public drop-off locations can be found at https://utah.momentumrecycling.com/ and the recycled glass can then be used for fiberglass insulation in Utah homes and recycled glass products. Other non-profit organizations such as VOW, and Protect Wild Utah were at the event promoting the protection of our wild land and animals. “We are a non profit organization trying to give a voice to wildlife, and to those who don’t have a voice of their own. We are trying to make people aware of what is happening in the state of Utah, as far as wildlife killing contests, trapping, and trophy hunting,” Scott Bye with VOW said. Protect Wild Utah is also a local non-profit grassroots organization. Its goal is to protect 9 million acres of wild land in Utah. While it does want to protect the land from development, it also wants to to protect ancestral and native cultural assets one county at a time. The organization just finished up in Emery County, managing to save 663 thousand acres of protected land, all in one bill passing. 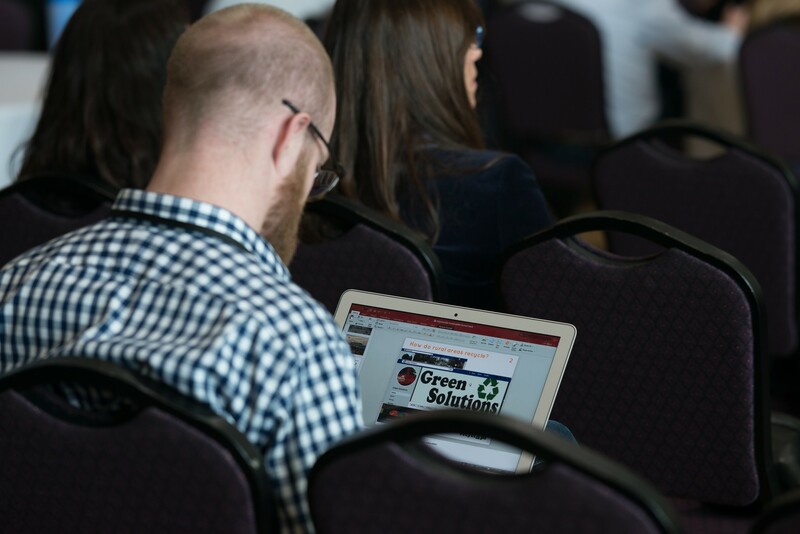 The Summit provided many students with resources to take and try at home, showing that sustainability is achievable for everyone. “It’s just amazing to see all the support for the outdoors, and what a diverse amount of options there are to be more sustainable,” Hunter said.